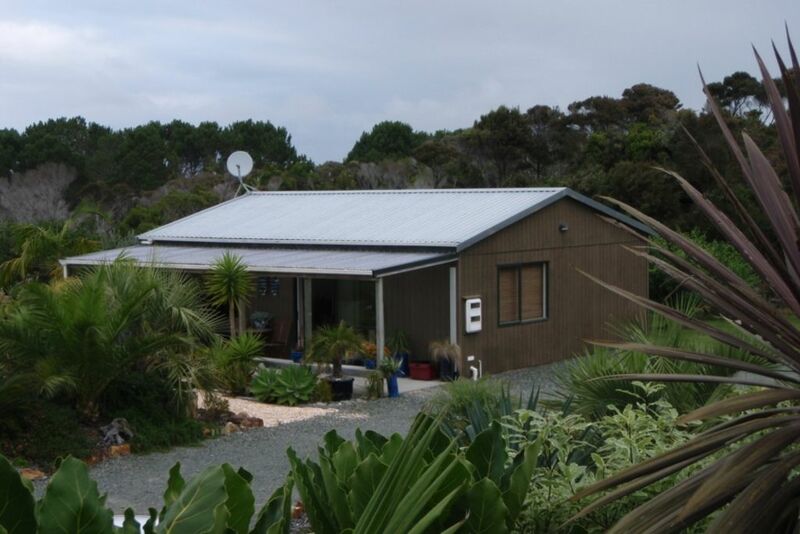 Karikari Fishermans Cottage is 2brm accommodation on our lovely tropical-landscaped 5 acre Lifestyle block. It has a full kitchen with oven and dishwasher, large fridge/freezer, breakfast bar and open-plan lounge/dining room which includes a TV, DVD and Stereo player. It has a lovely BBQ area, where you can chill-out after a hard days fishing or visiting our great beaches. It has 2 rooms both with queen beds. The bathroom is equipped with shower and w/machine and has plenty of gas hot water. This accommodates 7 Guests and can possibly be booked together (if avail.) for larger groups. All you need to bring is your beach towels, some DVDs maybe and your sunscreen....as our Summer is always hotter up here. We have plenty of room to park your car/s and/or boats etc and for the kids to run around on our 5 acre block. We also have boat wash and fish filleting facilities. We live on the property so are available should you require anything. BONUS: We can make you a Cappuccino, Latte or a Espresso to your-liking with our newly installed Rocket Coffee Machine to help you 'start your day off', just put your order-in upon arrival. We are 10kms from SH10 along the Peninsula Road, and only minutes from 9 glorious beaches. Also handy to Carringtons Winery, Golf Course, and the award winning Mangonui Fish and Chip Shop. A great place to base yourselves for exploring the Far North - from Bay of Islands to Cape Reinga. A great place to base yourselves for exploring the Far North - from Doubtless Bay to Cape Reinga. Great location for fishing or just to relax and take in the quiet time. Since I have booked the house only for my son, unfortunately, I can not give any feedback firsthand. My son and girlfriend loved the house and the location. They would book again anytime and spend a great time there. Great relaxing property, good location and very easy to settle into holiday life.